Nowadays, it’s common for small businesses to end up in financial struggles. A simple mistake can easily turn into a financial difficulty. Not only that, but it’s also common for business owners to run out of funding for their business development. In such cases, business owners tend to look for outside funding, in order to support their business further and ensure it remains operational. In today’s business world, there are many funding sources available to small businesses. However, not every funding source is the right one for your current situation. That’s why it’s important to analyze your options properly, in order to determine the best course of action. That being said, here are a few ways to secure funding for your small business. Many business owners first go to a bank when in need of funding. Banks are reliable sources of funding and you can always apply for a loan there. You should try out several banks and negotiate the best deal for your business loan. However, you must understand that it takes a bit of time for banks to approve your loan application. Moreover, if you have a bad credit score, you might be denied a loan altogether or charged with very high interest rates, because you’re technically a risk. In order to avoid that scenario, try to improve your credit score before going to the bank for a loan, in order to avoid any inconveniences. Angel investors can be a great source of funding for your small business. They can supply you with the funding needed to fully develop your business and secure its financial stability. Once your business is stable on the market, angel investors will expect 25 to 30% return on investment. However, securing funding from angel investors isn’t easy. You’ll have to be really passionate about your business and convince the investors that your business can be sustainable and profitable on the market. For that, you’ll need social proof, through market analysis, revenue forecasts and other statistics. If you do your homework right, you’ll be able to convince angel investors to support your endeavor. Also, don’t try angel investors if your agenda is to get rich fast, because they’ll dismiss you outright. As mentioned before, applying for a loan at the bank may not turn out so well if your credit score is bad. You may want to wait to improve your credit history, but you may not have the time to wait that long. In that case, you can seek out alternative lenders who will supply you with a loan. For example, you can apply for bad credit loans. These types of loans have more flexible conditions towards people with bad credit scores. In other words, you won’t be denied a loan and you won’t have to wait too long to actually get a loan. That way, you can use quick cash to fund your business or consolidate your debt to improve both your financial situation and your credit score. Venture capital (VC) is a funding source similar to angel investors. You’ll still need a good plan and a good idea to convince venture capitalists to support your business financially. The difference is that venture capitalists seek a share of your company, in return for supporting you. What’s more, VCs only support business owners whose ideas have the potential to become lucrative enterprises in a short period of time. Unlike angel investors, who support owners with passion about their business, venture capitalists are more supportive towards get-rich-fast attitude and ideas. As a matter of fact, venture capitalists expect your business to become very profitable in 3 to 5 years tops. If your business lacks that potential, you won’t be able to convince VCs to support you. Crowdfunding is yet another alternative funding source for your small business, only with fewer strings attached than angel investors or VCs. Crowdfunding is based on the concept of presenting your idea to your target audience, i.e. the crowd. If the crowd likes your ideas enough, they’ll donate funds to support your business financially. This type of funding can be ideal to fund startup ideas, but it can also be quite beneficial if you’re funding a small business by introducing new product or services features to the crowd. Crowdfunding works on platforms, such as Kickstarter, Indiegogo, GoFundMe and others. However, not all platforms have the same conditions and you must research them well before you decide which platform to choose for your crowdfunding campaign. The way it works is you set both the time and fund limit and your audience attempts to reach funding limit before the time runs out. As mentioned before, there are a lot of funding options made available to finance your business. Which method you choose depends on your business model and needs. Make sure your research various methods well, so that you’re able to pick the best funding source for your small business. As a small business owner, it’s important to make sure you keep your credit score on the right track. From securing funding to working with clients and vendors, your credit score can make a big difference in how your business performs. When your credit score is healthy, it gives both you and your business increased value in the eyes of lenders. Lenders are more willing to give you a small business loan when they see your personal finances are stable. This is beneficial when you’re just starting your business as well as during different stages of business ownership. In addition, a solid credit score makes your business more reputable in the eyes of financial investors as well as potential business partners. Lenders and potential investors aside, having a good credit score will help you run your business with confidence. When your own finances are in order, it allows you to concentrate on the business at hand. This is a good thing, especially when you’re just starting your business. As the following article looks at, there are more than just 5 ways your good credit can go bad, which is why maintaining a healthy credit score is so important. Whether your business has a slow month or there’s an unexpected medical emergency, good credit makes it possible to receive more lending. Many business owners need more than just one loan during business ownership. Keeping a stable credit history makes lenders more willing to give you financial assistance throughout the life of your business. Having a healthy personal credit history is a steppingstone to qualifying for business credit. By building good business credit, your business will no longer have to rely on your personal finances. Along with protecting your personal finances, business credit also makes your small business eligible for larger credit capacities. This gives your business the ability to grow and take on new opportunities and business ventures. Whether you’ve established credit for your business or you’re financing your business with your personal credit, it’s important maintain a healthy credit score. As mentioned before, good credit gives your business increased value and a solid reputation. When it comes to healthy credit, there are a number of things you can do to stay on track. Pay Bills on Time – From credit cards to utilities, paying all of your personal and business bills on time will keep your credit score high. Check Your Credit Score – By checking your credit score regularly, you’ll be aware of any changes that take place. 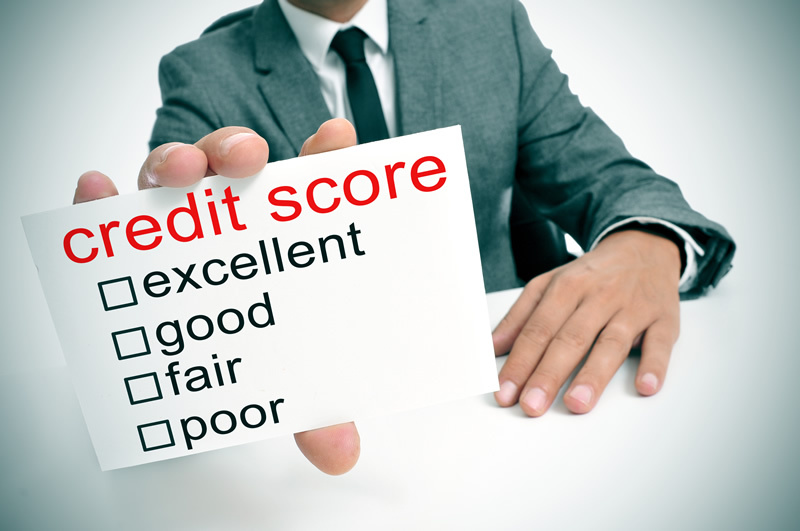 If your score drops significantly, your credit report will give you a financial outline of where you went wrong. Monitor Vendor and Customer Credit Scores – If you extend lines of credit to vendors or customers, make sure you check their credit scores as well. Bad credit is a good sign your clients won’t follow through with financial obligations, which could ultimately affect your score. Before you to take the small business world by storm, first make sure your credit is in good standing. About the Author: Adam Groff is a freelance writer and creator of content. He writes on a variety of topics including small business and budgeting.